The GNOME Shell redefines user interactions with the GNOME desktop. In particular, it offers new ways for the user to find and open applications and documents, switch between various activities, and view incoming information such as chat messages or system notifications. Later, it will introduce a framework for creating custom extensions. The GNOME Shell replaces functions handled by the GNOME Panel and by the window manager in previous versions of GNOME. The GNOME Shell has rich visual effects enabled by new graphical technologies. 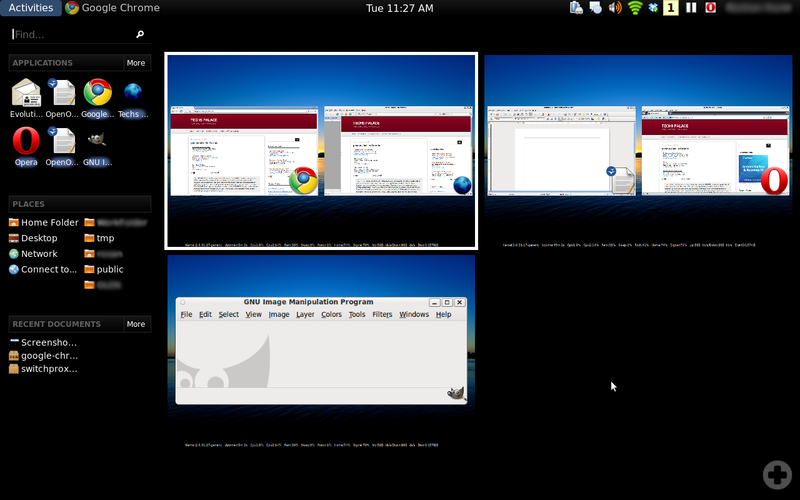 This will be included in Gnome-3.0 which is going to be released in September 2010. Nevertheless gnome-shell is already available as package in Karmic Koala. You can see the new look of gnome very easily.